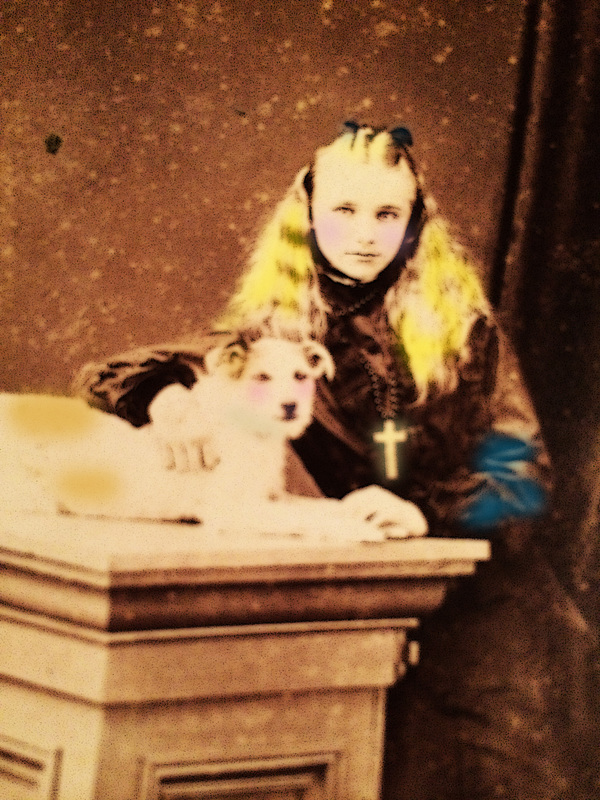 This entry was posted in 19th Century Children, Dogs, Girls, Photography, Victorian, Victorian Portraits and tagged 19th Century Photography, CDV, Cute Dogs, dog, girl, Girl and her dog, old fashioned girl, portrait, Victorian. Bookmark the permalink. I think then need a cat. But that’s my preference! Of course you MUST have a cat – always! Yes indeed, the dog is blushing (I colored it that way myself). And you’re making me laugh. Yes, just the canine sort! My two cats would agree with you. It is a good thing they love their dog as much as their girl does.